This is a one-day introductory course for dancers, activity leaders and other practitioners who want to gain skills, knowledge and experience in leading dance activities with older people. Starting points and structures for creating dances. Course participants must have successfully completed the online learning programme – Introduction to Leading Dance with Older People – and the related online assessment a minimum of 10 working days prior to taking part in the course. If you are interested in taking this course at the reduced Summer School rate then please indicate so on your application form and we will contact you. Diane Amans has a long association with People Dancing and this year she will return to act as course tutor on the Introduction to dance with older people course. Diane will lead the course for participants who want to gain skills, knowledge and experience in leading dance activities with older people. Diane is one of the leading practitioners in community dance, is the author of An Introduction to Community Dance Practice and founder of Freedom in Dance. 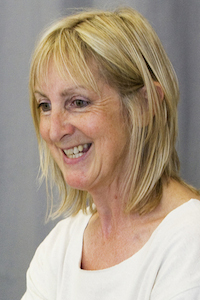 During her time as director of the company she developed the accredited training course Leading Dance with Older People. Diane is a dance artist whose career has included working in education, training staff in health and social care, and managing dance projects in health and community settings. She currently works as a freelance choreographer, trainer and consultant. Diane is particularly interested in intergenerational projects and has created several dance pieces challenging stereotypes of youth and ageing. She has recently developed a new training programme for participatory arts workers. Discovering Common Threads focuses on attitudes to difference and ways in which artists can both celebrate difference and explore what we have in common.